This article was brought to you by our friends at Roanline. 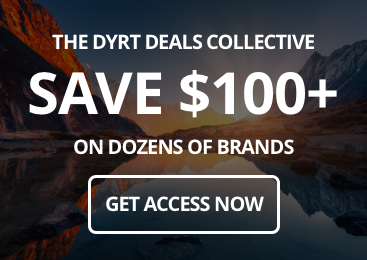 They carry sustainable, fashionable outdoor garments that will fit in just as well at a Thanksgiving buffet, as at your favorite campground. 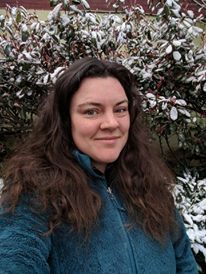 Roanline carries great women’s bamboo clothing brands that will keep you as warm and light as the holidays and cozy campfires, and we’re thankful for that. Thanksgiving is a wonderful chance to gather, share, and rejoice…but wouldn’t it be nice if a delicious Thanksgiving dinner didn’t mean trashing your kitchen, cleaning the house, and trying not to think about how much butter you’re putting in every dish? If the thought of hosting your friends and family for Thanksgiving makes you want to run for the woods, we say—do it. We don’t mean you should ditch your loved ones on a holiday that’s all about family and gratitude. 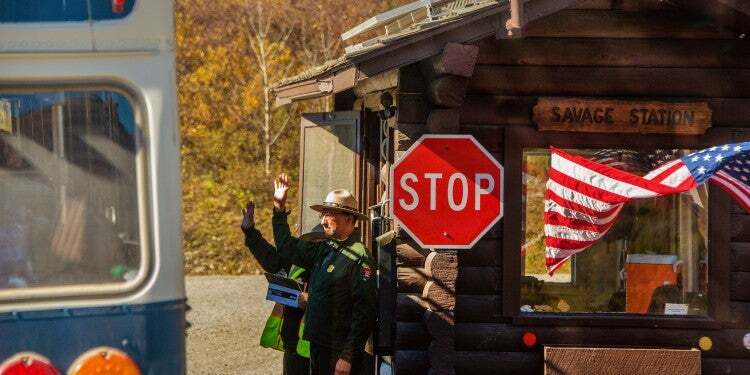 But why not invite them to one of the many campgrounds, state lodges, and national parks that host delicious Thanksgiving buffets and dinners? Instead of cooking, you could be hiking, or lounging in your hammock. 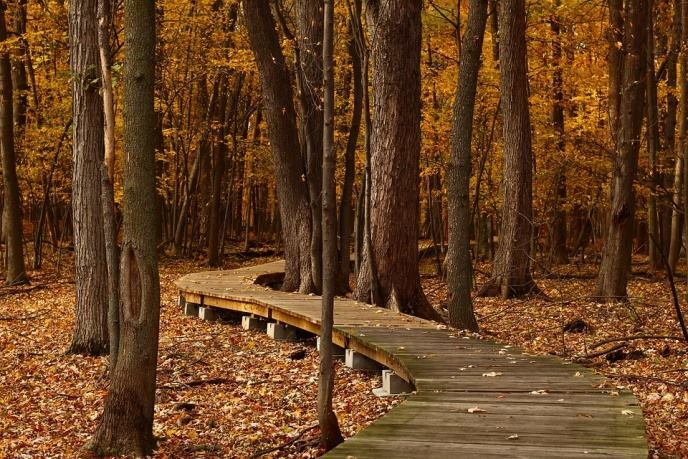 Just think of the spectacular walks you can take after dinner. It’ll be easier than ever to contemplate what you’re grateful for while surrounded by the natural beauty of late autumn at these spectacular parks and welcoming lodges. 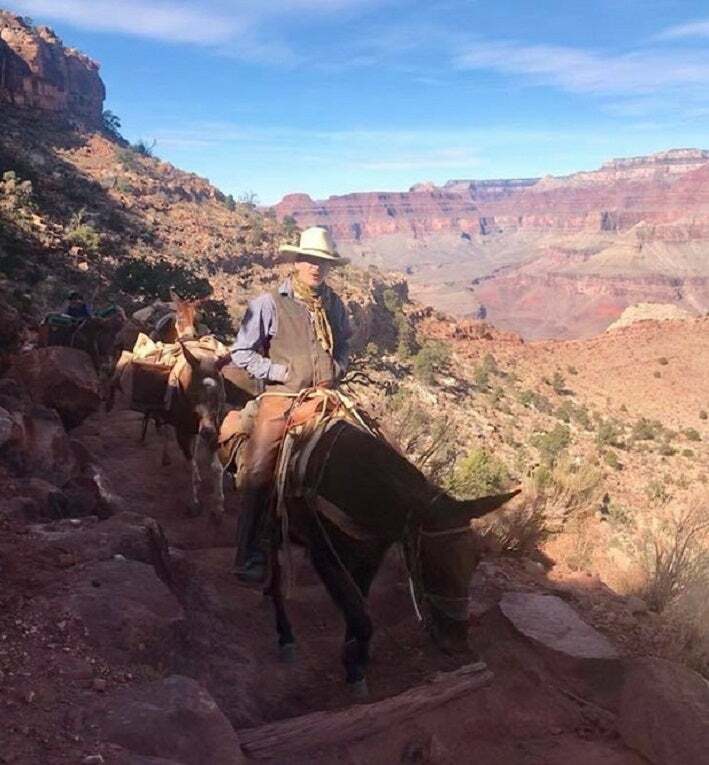 Pack mules on their way to Phantom Ranch / Image from The Dyrt camper Sarah S.
Have you ever had Thanksgiving dinner on the rim of the Grand Canyon? You can if you feast at the Arizona Room. The setup is a little different from some of the other events on this list, in that no reservations are taken. Rather than a traditional Thanksgiving buffet, the Arizona Room opts for a prixe fixe menu for more of a restaurant-style experience. Their 2018 menu isn’t out yet, but it will be released in early November. One thing you can definitely expect with your meal is an excellent wine list. After dinner up top, you can stay in the lodge. 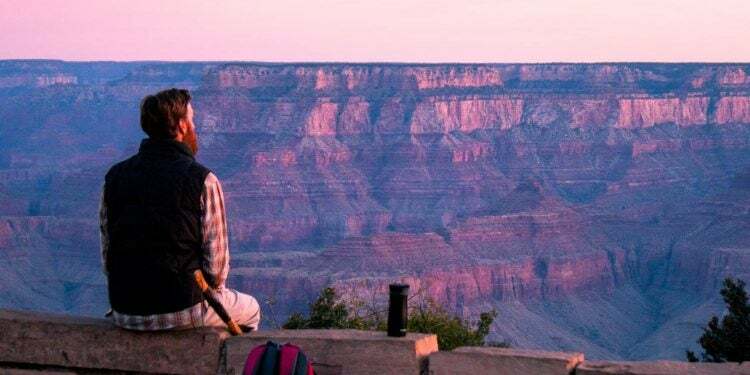 If you’re feeling more adventurous, and can snag a reservation in the competitive lottery, head down to the bottom of the Canyon to stay at the cabins Phantom Ranch. 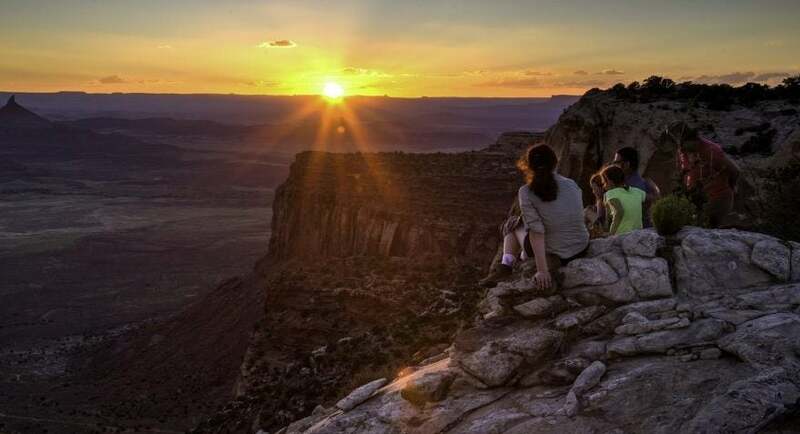 Because of the location, Phantom Ranch can only be reached by mule, on foot or by rafting the Colorado River, or a hike that’s sure to counteract your Thanksgiving dinner. “Phantom Ranch consists of several small buildings, including a canteen which serves as a store, mess hall, and from 8-10pm, a bar. There are also small cabins you can rent but we stayed in one of the shared bunk houses with 10 beds, toilet, shower and sink. It was super fun to get to know fellow hikers and share a meal and then play games and drink beer for a few hours.” –The Dyrt camper Sarah S.
Dancing Bear Lodge offers gorgeous rustic cabins just outside of Great Smoky Mountains National Park, but it’s also one of the best-kept dining secrets in East Tennessee. 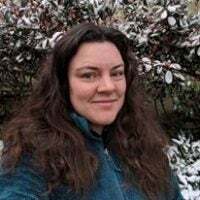 Chef Shelley brings fine dining flare to traditional regional cuisines at Dancing Bear’s Appalachian Bistro, and Thanksgiving is no exception. Last year, the menu included her famous caramelized diver scallops with country ham, melted leeks & fennel cream, buttermilk brined organic turkey breast, Tennessee pride sausage cornbread dressing, and chocolate bourbon pecan pie. You don’t want to miss what comes out of her cast iron skillet this year.. 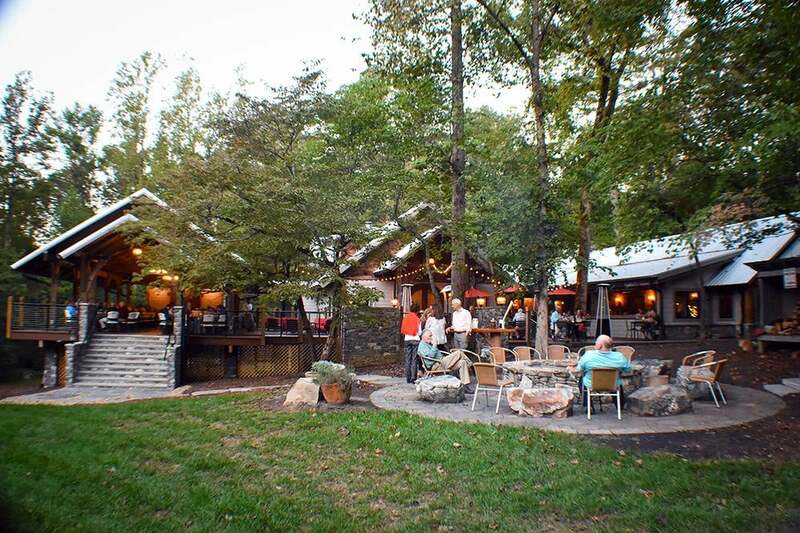 Naturally you can make a reservation at Dancing Bear for lodging, too. But if camping is more your speed, if you’ve got an RV, or you want to burn off the Thanksgiving buffet scene with a little backpacking trip, there’s lots of options nearby. The Townsend/Great Smokies KOA is just minutes up the road, as is Tuckaleechee Campground, and the cave system it shares a name with. Speaking of starting your own traditions, that’s just what a group of friends did in the 1990’s when they decided the best way to give thanks was by eating good food and climbing great rocks. The event took on a life of its own, as these things tend to do, and before you know it, Creeksgiving became a pilgrimage for anyone who considers the rock climbing community family. People bring food and drinks to share and spend the weekend eating, swapping beta, and climbing the seriously cool projects like Supercrack, Battle of the Bulge, Scarface, and Optimator. If you want to take part in this unconventional Thanksgiving buffet, remember that the campground can fill up fast with so many people dropping in for the holiday weekend. 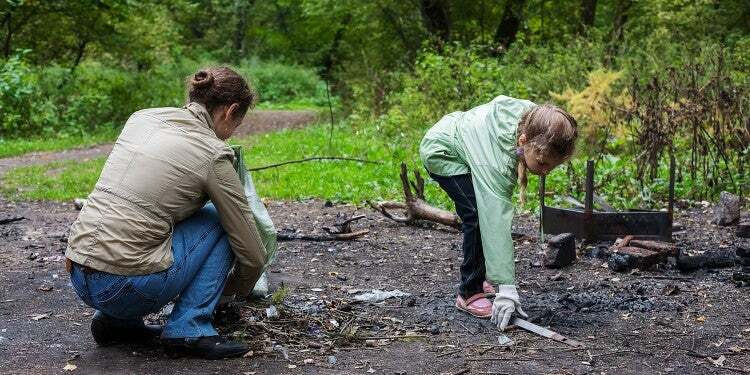 Come early, come prepared, bring food to share, and leave nothing but footprints. If Creeksgiving is going to live on year after year and keep the good gratitude vibes flowing, partygoers will have to leave this place better than they found it. The granddaddy of U.S. National Parks, unsurprisingly, puts on one of the very best Thanksgiving feasts you’ll find out there. Give thanks in the Majestic Yosemite Hotel, surrounded by granite, huge wood beams, and elegant chandeliers. This is one of the pricier options on this list at $109.25 per adult and $38.05 per child, but you know that the food is going to be as delightful as the ambiance. Make your reservations early, as this is understandably a very popular, bucket list-worthy event. Check out the other restaurants in Yosemite, too. There’s more than one option for a tasty Thanksgiving buffet in the park— Yosemite is pretty big, after all. 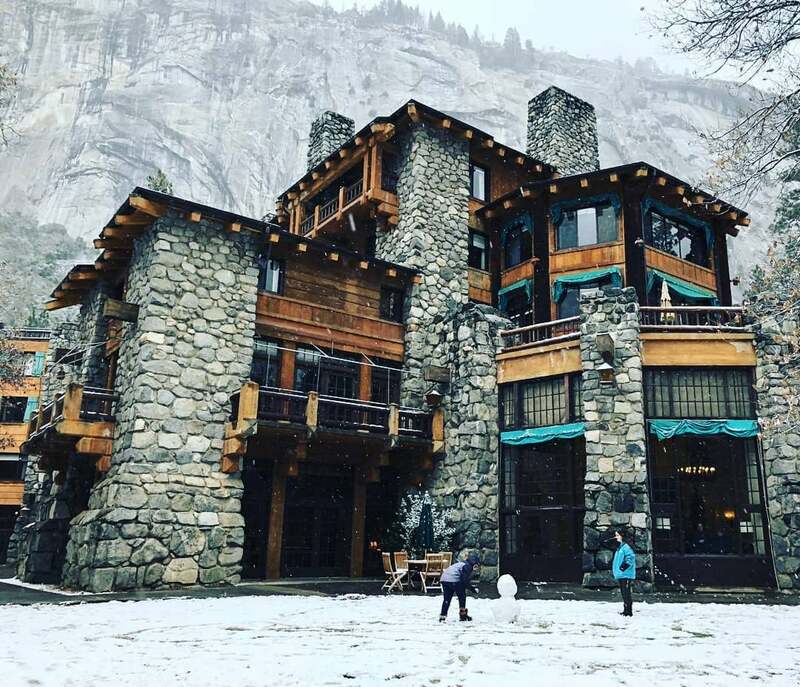 Seeing Yosemite in the early winter is a magical experience, too. There are fewer crowds than in the summer, yet many of the roads are still passable before the heaviest winter snowfall comes in. 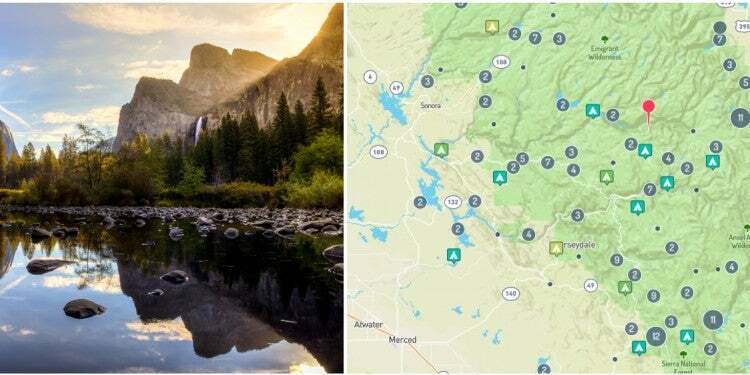 Yosemite Valley is open year-round, and includes permanent cabins (some with their private baths), canvas-sided cabins, motel rooms, and tent sites for those with cold-weather camping chops. 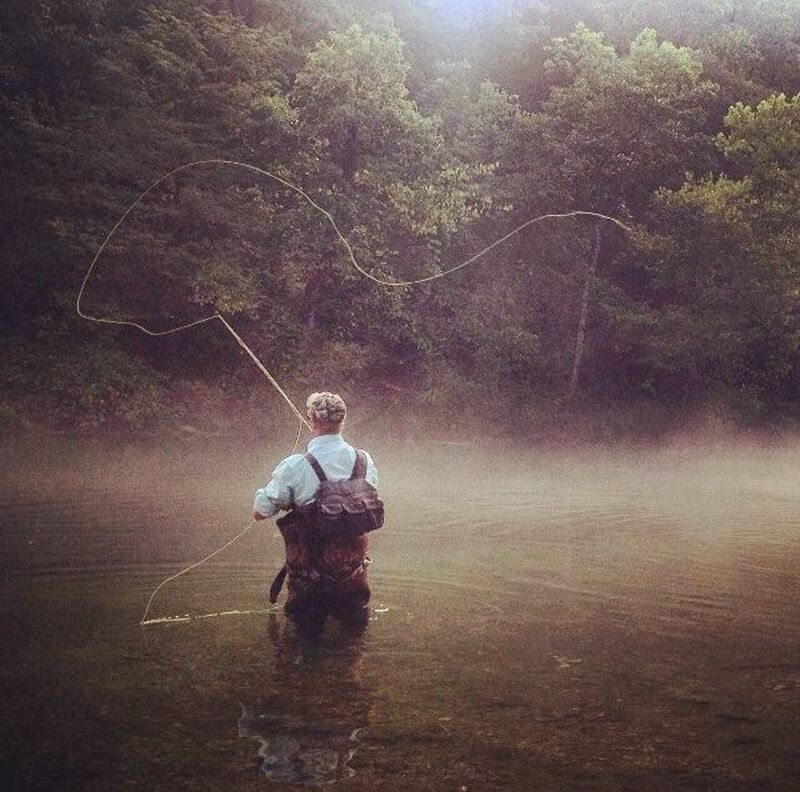 Fly fishing in the early morning mist at Montauk State Park / Image from The Dyrt camper Charlotte B. The chefs at Montauk State Park will be cooking up a storm at the Dorman L. Steelman Lodge this year. Considering the area’s long relationship with food— Salem, Missouri was once home to several grist mills, and is still the location of a top-notch trout hatchery that contributes to the Current River’s reputation for superb trout fishing— diners should be in for a treat. The cozy vintage dining room has a wonderful throwback vibe straight out of a Norman Rockwell painting. While Missouri has relatively mild winters, with average highs in the fifties and average lows in the thirties, it’s also true that trout season lasts all year here. The winter catch-and-release season opens the second Friday in November and closes the second Monday in February. You’ll want plenty of layers (none of them cotton!) to keep you toasty while you wait for a bite on the river. Generations of diners have loved breaking bread and giving thanks at the Lake Crescent Lodge, which has enjoyed a long history of hospitality since it was originally built in 1914. Portions of the original structure are still in use, thankfully, despite mid-century calls for demolition. 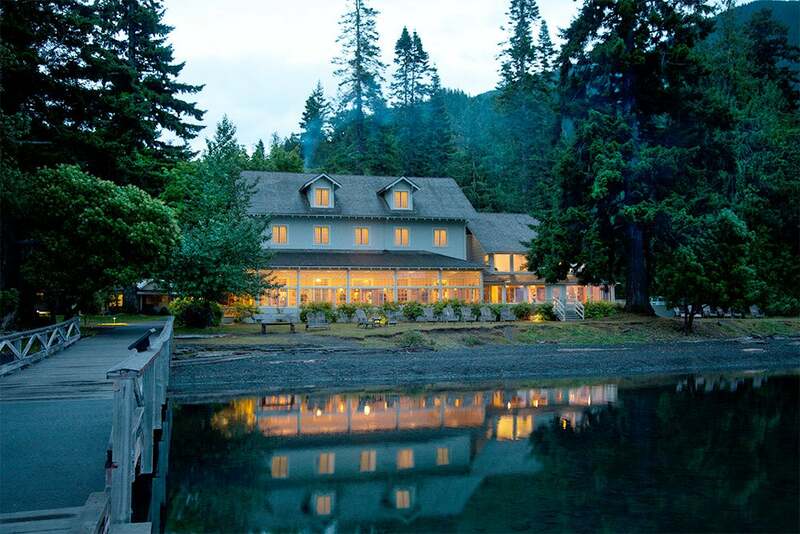 In 1937, the Lake Crescent Lodge hosted President Franklin D. Roosevelt, who created Olympic National Park the following year. You can reserve a room in the lodge or at one of the nearby cabins if you don’t want to walk far before falling into a tryptophan stupor after stuffing yourself at the Thanksgiving buffet. There are also all sorts of first-come-first-serve campgrounds in Olympic National Park. One of the loveliest is Heart O The Hills campground, which is surrounded by old growth forest and on clear days boasts views of Victoria and the Cascade Mountains. If cold weather camping isn’t your thing or you don’t have an RV, however, you can snag sturdier shelter at the Log Cabin Resort, too. Blackwater Falls / Image from The Dyrt camper Amanda H.
The Smokehouse Restaurant at Blackwater Falls State Park in West Virginia does a Thanksgiving buffet every year. People come back year after year for the blend of traditional favorites and fresh seasonal dishes. Last year they served roasted turkey breast with giblet gravy, and candied baby carrots with cranberries & almonds as well as smoked salmon over stone ground cheddar grits and roasted corn chowder. 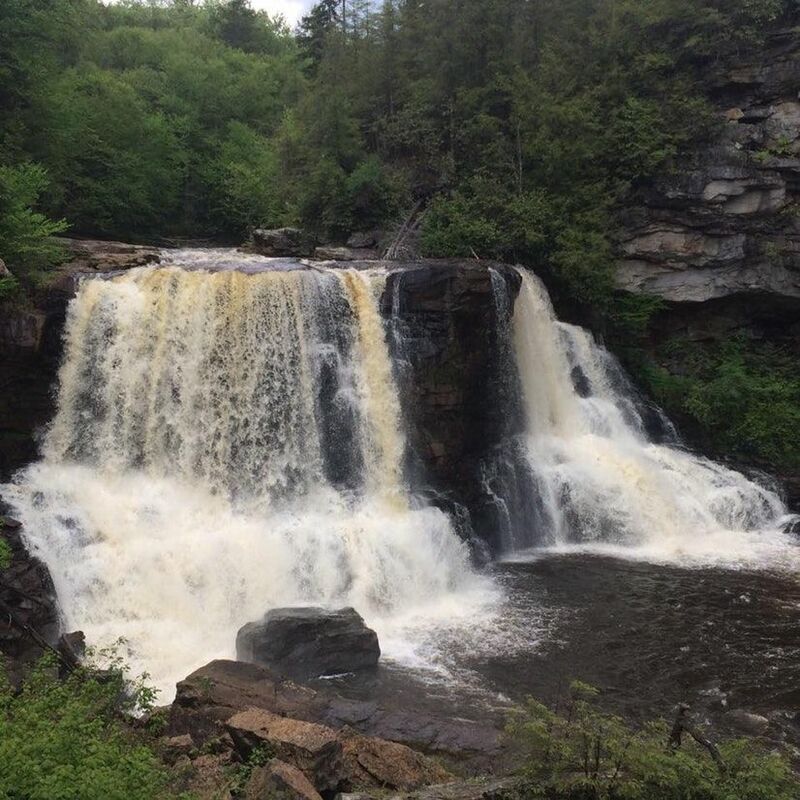 There’s equal variety to be found in nearby activities, too, both in Blackwater Falls and adjoining towns. 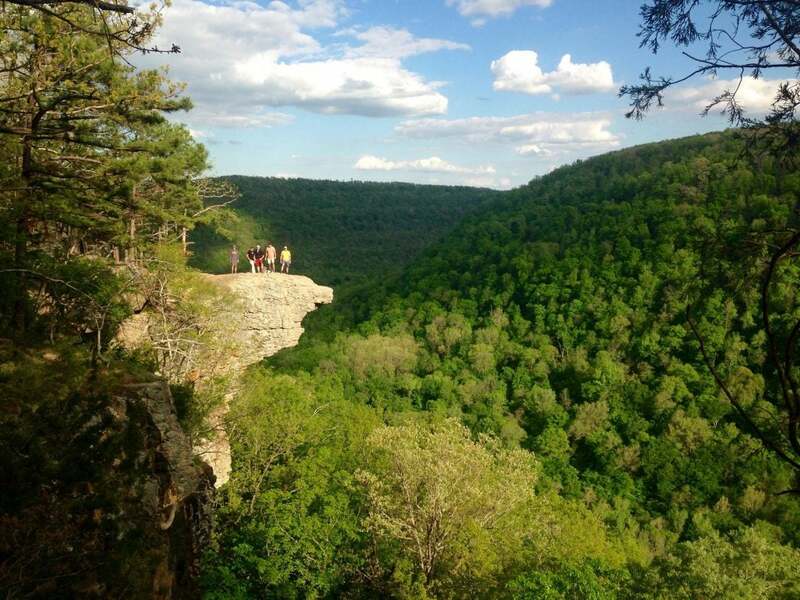 “There’s plenty to do in the park including walking down the steps to view its namesake waterfall, and hikes to beautiful views of the gorge. Make time to drive to nearby Thomas and visit the Purple Fiddle for a drink or ice cream while listening to live music. 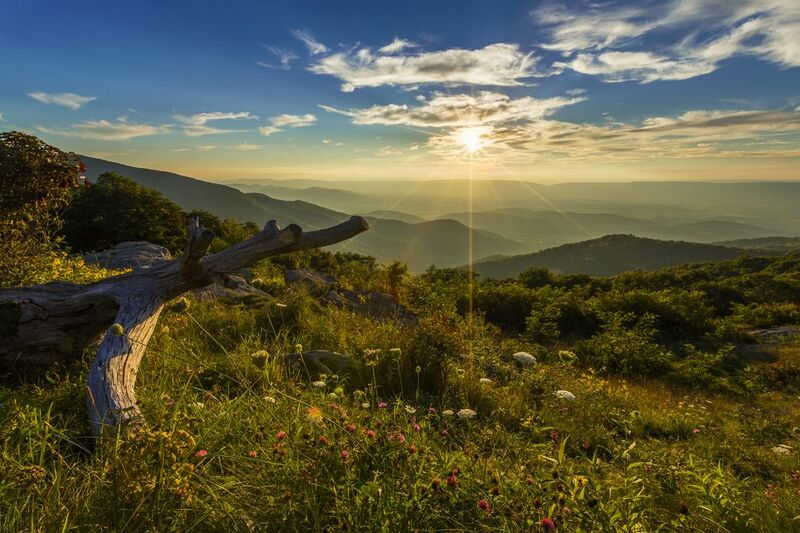 A slightly longer drive will take you to Seneca Rocks, a steep hike to exposed rocks with beautiful views. The park is also a good base for high pointers seeking to bag Mt. 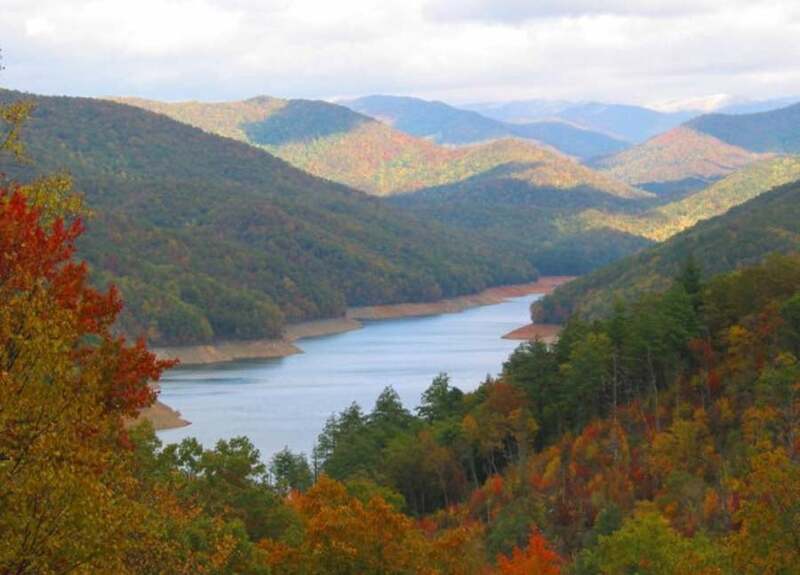 Davis, PA; Backbone Mt., MD; and Spruce Knob, WV- the highest points in the three states.” –The Dyrt camper Sean G.
Every year, the Lake Texoma RV campground hosts a potluck Thanksgiving for its guests. They provide the turkeys and hams, you provide the sides and desserts. If you’re stumped, there are a bunch of Thanksgiving camping recipes you can easily prep even if you aren’t in your own kitchen. You’ll want to make a campground reservation, of course, after which you can sign up for the Thanksgiving event, either on the sign-up sheet posted at the family center or over the phone by calling their business office at 903-523-4368. 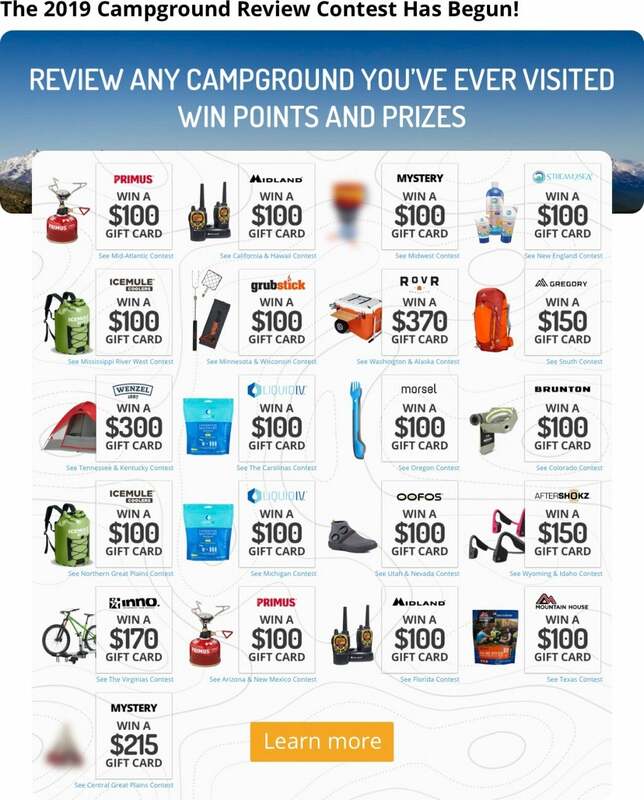 There are many other campgrounds run by KOA and Thousand Trails that might be offering their own, similar Thanksgiving celebrations. If you like the sound of what Lake Texoma is doing but aren’t going to be in the area this November, call to find out if there’s a similar event in your neck of the woods. If not, there’s no harm in looking into how to start your own tradition! Peaks of Otter Lodge / Image from The Dyrt camper Jen V.
In the heart of the Blue Ridge Mountains, you’ll get a taste of Southern hospitality at Peaks of Otter Campground. Their team is putting together a delectable take on traditional Thanksgiving fare. Their menu for 2018 includes roasted corn & spinach salad with warm bacon dressing, orange mint cranberry sauce, roasted pork loin, apple cider & fruit sauce, horseradish smashed potatoes, and oyster dressing. Yum! As you can imagine, this event sells out quite quickly— hence why they released their 2018 menu early in the fall. Call 866-387-9905 to get in on the Thanksgiving buffet goodness. As for the camping, it’s wonderful to see the Appalachian mountains in the winter. With the leaves out of the trees, you can catch awe-inspiring views that are hidden in the summer. 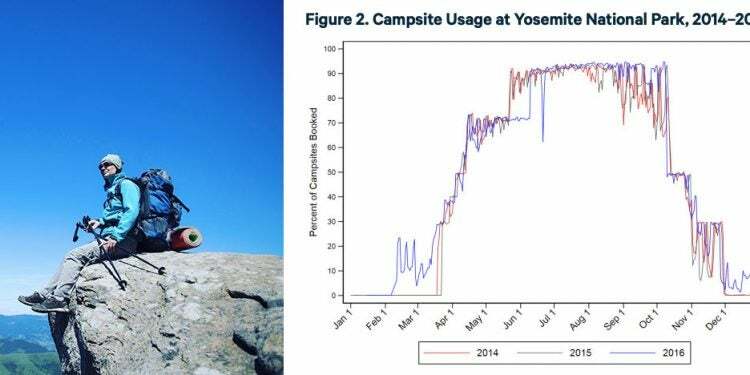 Unfortunately for Thanksgiving visitors, the unique terraced campground closes in late October ahead of the cold weather. Make a reservation for the Peaks of Otter lodge, though, and you’ll be in the middle of all the action. 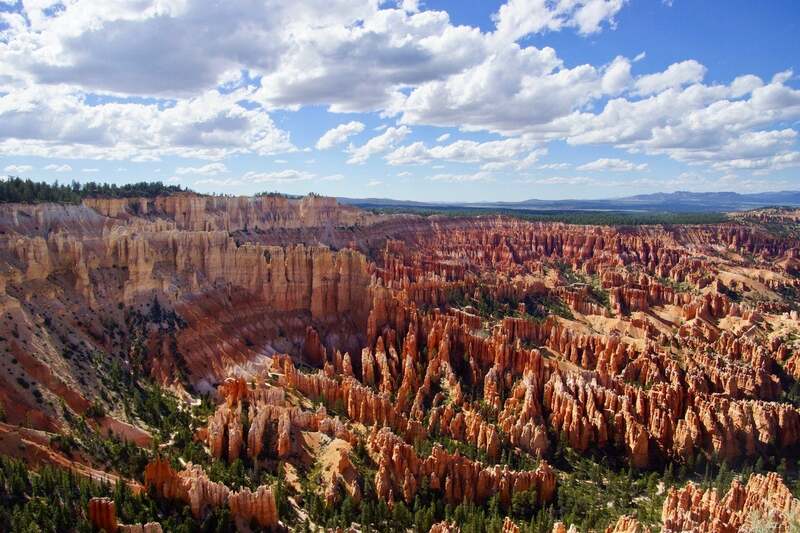 Bryce Canyon / Image from The Dyrt camper Kelsey L.
Right outside Bryce Canyon, Ruby’s Inn is the perfect place to take advantage of the smaller shoulder season crowds. Their Thanksgiving buffet offers a delectable menu every year at their Cowboy’s Buffet and Steak Room. And unlike many restaurants at state or national park lodges (and especially anywhere in Utah), you can get a hard drink here if that’s your taste. Unicoi State Park / Image from The Dyrt camper Brandon D.
If you want to get a little practice at stuffing yourself before your big meal at Unicoi, there’s incredible dining to enjoy just three miles away. Unicoi State Park is right next door to Helen, Georgia, a little mountain town that was redesigned in the 1930’s to look like a Bavarian village. It’s Oktoberfest all year round in Helen, so you can ease from brats and beer straight into cranberry sauce and pecan pie. Before your Thanksgiving buffet, grab an imported brew at the basement pub at The Heidelberg or watch the river flow by at the Troll Tavern. After you’ve gotten your turkey fix at Unicoi, head back to Helen to hit up the Christmas shops, which will feel extra magical with the holidays officially kicked off. Estes Park / Image from The Dyrt camper Amanda M.
Nicky’s Restaurant in Estes Park is popular year-round, but never more so than on Thanksgiving. No wonder— they’ve been perfecting what they do since 1967. Nicky’s serves up a Thanksgiving buffet with a little something for everyone. Last year they had turkey, of course, as well as ham, prime rib, salmon, and an array of sides, soups, salads, and desserts. If you aren’t feeling the Thanksgiving fare, they have their regular menu available, too, which is steakhouse standards heavy on the beef, potatoes, and appetizers like oysters and escargot. 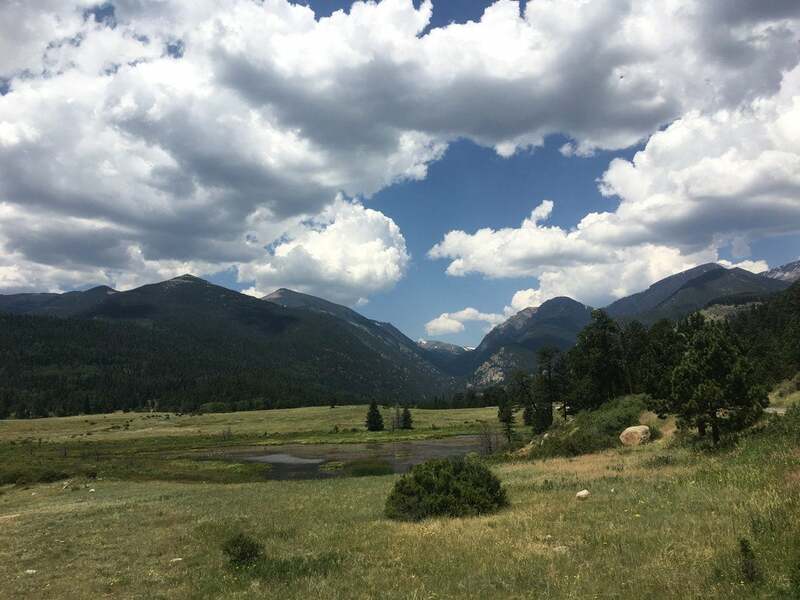 Just down the road from Nicky’s Resort and restaurant is Estes Park East Portal Campground at the foot of Emerald Mountain. That will get you at the doorway not only to Estes Park, but also Rocky Mountains National Park, and the splendid views both have to offer. “Just south of Estes Park, this small organized campground was perfect for our first trip of the season. The bathrooms were clean, and close to almost every site. They had a very nice playground for the kids with a climbing wall. The camp store was tiny, but had a few things we needed and super friendly. And the best was that the campground was just steps away from a trailhead into the National Forest. We hiked about 4.5 miles roundtrip to Sprague Lake.” –The Dyrt camper Jessica H.
Lake Guntersville / Image from The Dyrt camper Kirk S.
“They were hit by a tornado a few years back and it took out a lot of trees and cleared a lot of beautiful landscape but since then they have worked hard to bring the beauty back and it’s working on a huge scale! It’s a wonderful place to hike the mountains and fish, bring the camper and relax, or just pack a tent and a cooler to enjoy the veiw. The lake is gorgeous and big! 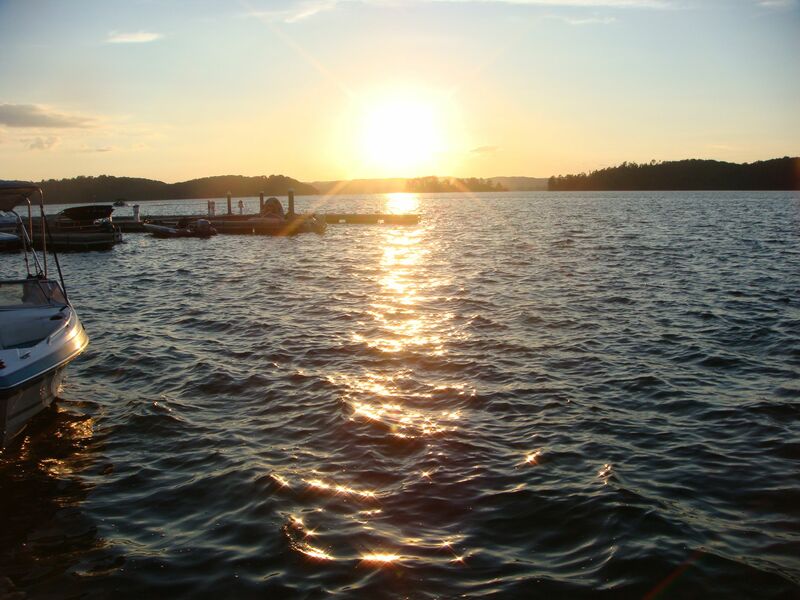 The best fishing I’ve had in Alabama is at Guntersville St. Park!” –The Dyrt camper Brandon B. If you’re getting a close-knit community vibe off Fontana Village, there’s a reason for that. The lodge and cabins were originally built as housing for the families of the workers building the Tennessee Valley Authority Fontana Dam, the largest dam east of the Mississippi River. In the summer, water sports are popular on the reservoir, but the views, hiking, and disc golf are just as enjoyable in later seasons. Plan far enough ahead of time, and you can score one of the cabins with a hot tub and fireplace—perfect for cozying up after dinner to reflect on all the Blue Ridge Mountains goodness. Virginia knows how to do it up right for a festive and tasty Thanksgiving buffet. The 2018 Thanksgiving menu at Shenandoah National Park included exciting fare like butternut squash, spinach, and fennel lasagna with a smoked gouda spiced cream sauce and baked haddock fillet with a chive cracker crust in white wine and butter. There’s buttermilk biscuits and pimento cheese for southern flare, along with bourbon mustard brown sugar glazed ham (because, Virginia). Don’t miss the honey cumin roasted carrots & rutabagas, or the white chocolate, dried cherry almond bread pudding. We’re hungry already. Relax by a hot wood stove while you digest at one of the many cabins in Shenandoah National Park, like the Pocosin Cabin that’s right off the Appalachian Trail. It was built by the Potomac Appalachian Trail Club, and is nicely appointed. “The cabin has a covered porch with a picnic table and outdoor fireplace, and ample firewood available under the agreement that guests replenish the firewood that they use. There is a sawhorse and wood-splitters available for this. Inside the cabin are three sets of bunk beds, each double wide.” –The Dyrt camper Stephanie J.
Hawksbill Crag in the Ozark Mountains / Image from The Dyrt camper Troy W.
You can spend all day celebrating and getting the holidays started off right at Ozark Folk Center State Park. Kick things off in the late morning and early afternoon with a hot meal from their Thanksgiving buffet, and then mosey on over to the Craft Village for holiday shopping from 20 working artisans. In the evening, they’ll host a gospel concert that’s a real treat. The Ozark Folk Center has earned its music chops as host to the Ozark Highlands Radio program. 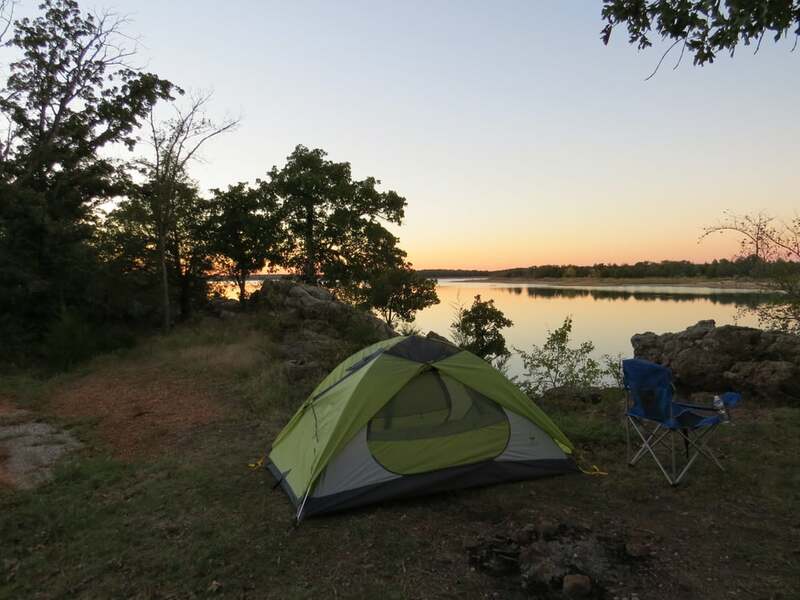 There are no campgrounds at Ozark Folk Center State Park (though there are lots nearby!) but there are some lovely cabins, as well as the lodge. The cabins feature two queen size beds, telephone, TV, wireless Internet, mini-refrigerator, iron and ironing board and coffee pot, with porches overlooking the scenic Ozark forests. There’s also a communal game room to check out. 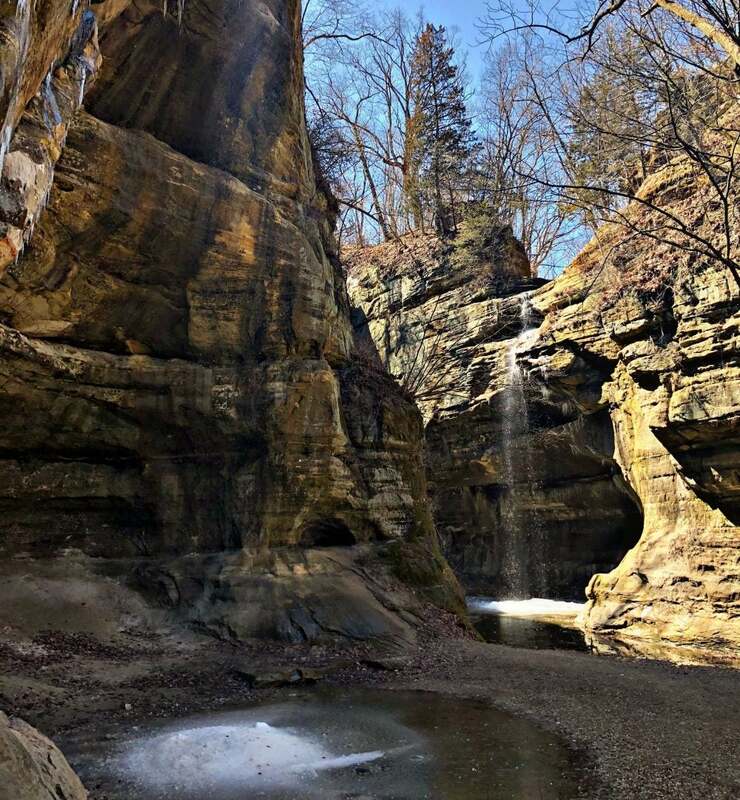 Falls in Wildcat Canyon at Starved Rock State Park / Image from The Dyrt camper Amber A. Another great Thanksgiving buffet option, this one in Starved Rock’s handsome wood-paneled dining room. Enjoy your turkey and stuffing in front of a roaring fire and soak up the eighty five years of thankful moments this room has seen. The Lodge was built in 1933 by the Civilian Conservation Corps, but Starved Rock was a popular destination long before. In the early 20th century, a concession stand and dancehall attracted revelers from miles around, despite the fact that Starved Rock could only be reached by boat, and eventually railroad. By the 1930’s, it was accessible by automobile and one of the most visited parks in the area, prompting the construction of the Lodge and all sixteen cabins. Some are pet-friendly, so you don’t have to leave your #DyrtDog at home over the holiday. You know you’re going to have a good time when you’re spending the holiday in the heart of Ohio wine country. As the folks at the lodge at Geneva-On-The-Lake put it, let them worry about the food prep and clean up and you relax with a beautifully prepared menu at their Thanksgiving buffet. While you dine, enjoy the lodge’s selection of limited production, award-winning Ohio wines. “I would go again. Only a few full hookup sites/reserve early. Several W/E sites though. They also have a dump station and a fish cleaning house! Very well kept! Plenty of shade, nice breeze from the lake, all blacktop sites with plenty of grass & woods. Tent or RV you are sure to like it here. It is peaceful and relaxing.” –The Dyrt camper Linda S.
The “Best view of the Tetons” according to camper Kelly D. / Image from The Dyrt camper Kelly D.
Jackson Hole has been a destination for fun-seekers for over fifty years, and Thanksgiving is an ideal time to find out why. That’s because Jackson Hole isn’t just planning Thanksgiving buffets at the Silver Dollar Bar & Grill at The Wort Hotel, West Bank Grill, and The Granary at Spring Creek Ranch. They’re hosting a whole holiday weekend, and thanks to early-season airfares and early-season passes, it might be one of the more affordable times to check out what makes Wyoming so legendary for powderhounds. Events include The 25th Annual Thanksgiving Day Turkey Trot 5K Race, a next-day Town Square Lighting to usher in the holidays, and the very first day of the season on the Saturday after Thanksgiving. There are also tours of local wildlife, and a free screening of the Nutcracker ballet. 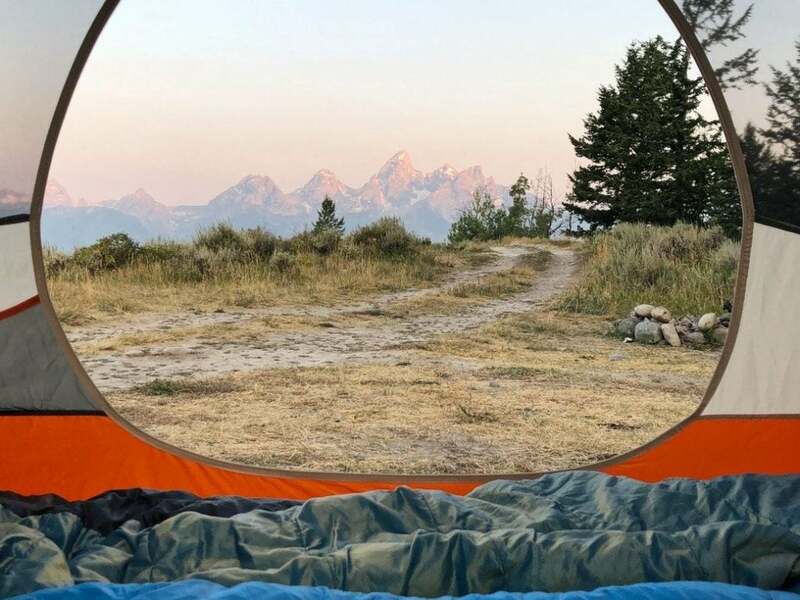 There are more lodges, hotels, and ski-in cabins than you can shake a stick at in Jackson Hole, but if you’ve got cold-weather camping gear, want uninterrupted views of the Tetons, and like a little rustic solitude after you stuff yourself silly, head to Shadow Mountain Ditch Creek Area. The entry road is designated for off-highway vehicles. It’s only open through November 30th though, so enjoy before it closes for the season! 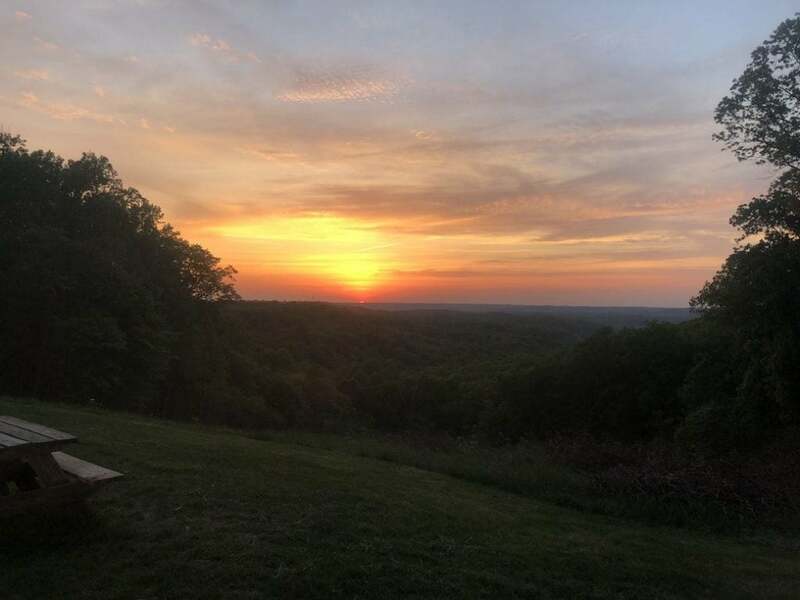 Sunset at Brown County State Park / Image from The Dyrt camper Anna A.
Hoosiers know how to savor their holidays. Come to the land of corn, rolling hills, and beverage barns for the Abe Mountain Lodge’s beloved Thanksgiving buffet. 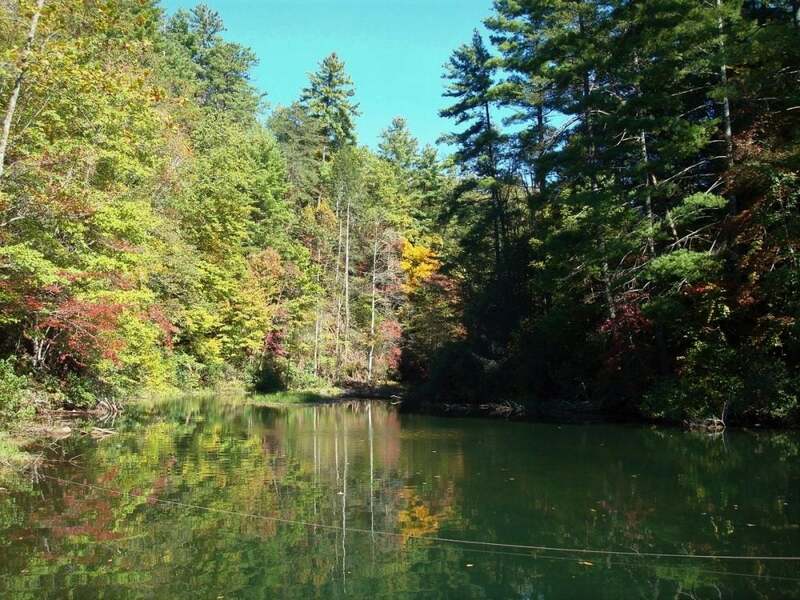 Take a stroll in Brown County State Park after dinner and it will quickly become apparent why this part of Indiana was nicknamed the “Little Smokies” for its resemblance to the Great Smoky Mountains. “The park that is set in massive hills and valleys has lots of different trails, a nature center, a pool, a lodge with a pool/park, large and small cabins for rent, various overlooks, playgrounds, historical sites, a fire watch tower you can go in, beautiful gathering places (large open cabins), daily activities throughout the park, a horse stables, amphithéâtres, a restaurant, a gift store, and much more. I highly recommend going in the fall, the trees and hills are alive and bursting with color. Also while there stop into the cute little town of Nashville and grab a bite to eat at the Big Woods Brewing Company and visit the artisan shops!” –The Dyrt camper Anna A.
Dorst Creek Campground in Sequoia and Kings Canyon National Park / Image from The Dyrt camper Leslie M.
Spend Thanksgiving in the beautiful dining room at Sequoia and King’s Peaks Restaurant in their Wuksachi Lodge. The mission-style dining room furniture and southwestern touches offer a warm ambiance, and you know the menu will be a blend of tradition and California cuisine that hits the right note. Plus you can feel extra grateful that Peaks is a Certified Green Restaurant® by the Green Restaurant Association. 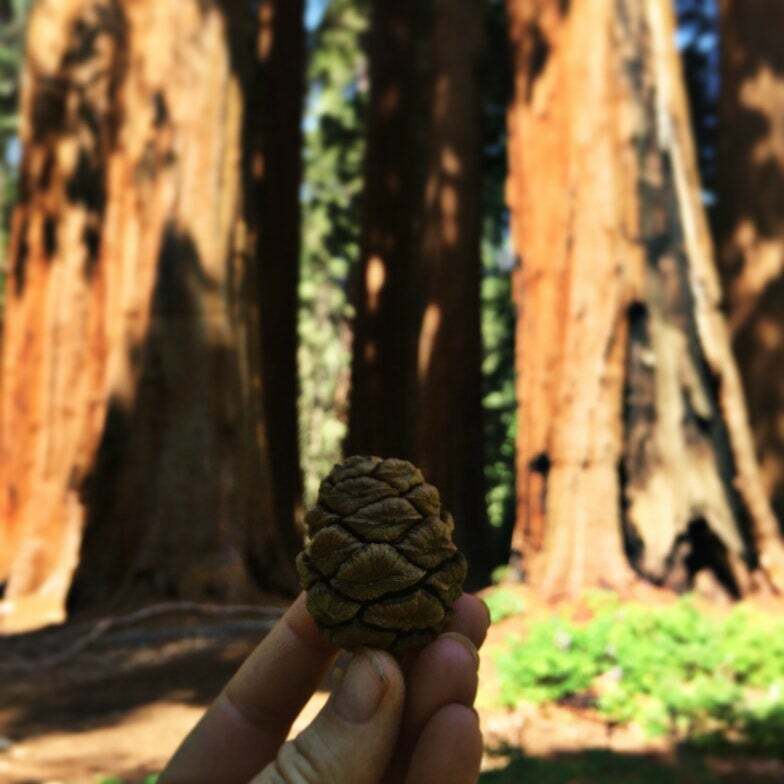 The only catch is that many of Sequoia and Kings campgrounds are closed by Thanksgiving. However, the cabins at Grant Grove are right underneath the massive trees that make this place so special, and are very snug in the winter, with everything you need to savor the early winter. “The cabin was furnished perfectly, and included all that we needed for bedding. There was a lovely fire fueled stove outside on the covered patio. The showers were good enough and there was a place to wash dishes. Grant Village has a large market for groceries, a restaurant and a visitor center. There is a free shuttle that runs through the park to alleviate any concerns about parking.” –The Dyrt camper Celina M.
Elephant Rock campground in Lake Murray State Park / Image from The Dyrt camper Jasmine L.
Right on the waters of Lake Murray, the Lake Murray Lodge was only just built, along with the brand new Blue Heron Restaurant. They will serve up a savory Thanksgiving buffet with roast turkey, carved tender roast beef, smoked pit ham with honey glaze, Southern fried chicken, cornbread stuffing, giblet gravy. Lake Murray State Park also has over 10 miles of trails for hiking and biking including the Anadarche Trail, Buckhorn Trail, Lake Shore Trail and Beaver Trail. Nothing like a little post-dinner walk to reflect on another great Thanksgiving. 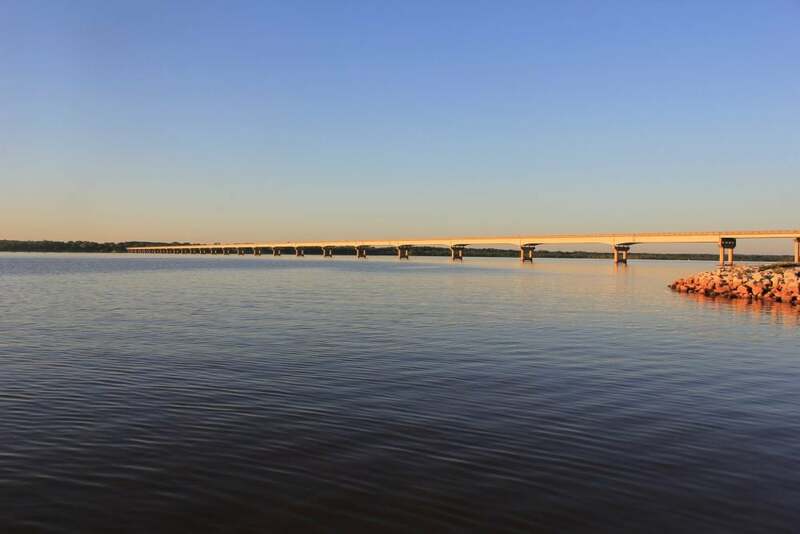 While there have been numerous campgrounds in this huge state park for years, there are also now 56 cabins available at Lake Murray in addition to the freshly renovated lodge. On top of that, there are six floating cabins of various sizes. The regular cabins are just up the hill from the lake, with only a short walk to the shore. The floating cabins hover out on the water, offering great views from three sides from their porches and balconies. Nebraskans can look forward to a full spread between 11am and 4pm at Caddy’s Parkside Grill located at Mahoney State Park. There’s lots to love at this Thanksgiving buffet, from the views of the Platte River to the full bar. Caddy’s has put together cocktails that pair with its signature wing sauces. It’s a safe bet their mixologists will know what pairs best with their holiday fare. The team behind Caddy’s has been in the business for almost two decades, and this concept isn’t their first rodeo. 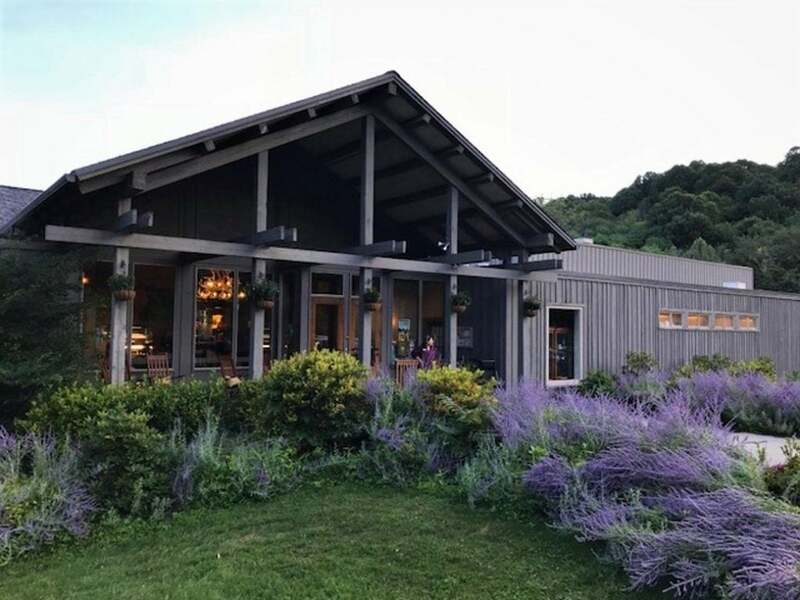 It’s just their first restaurant inside Mahoney State Park’s Peter Kiewit Lodge— a partnership that’s inspired lots of delicious local touches. “Wow, what a wonderful State Park. 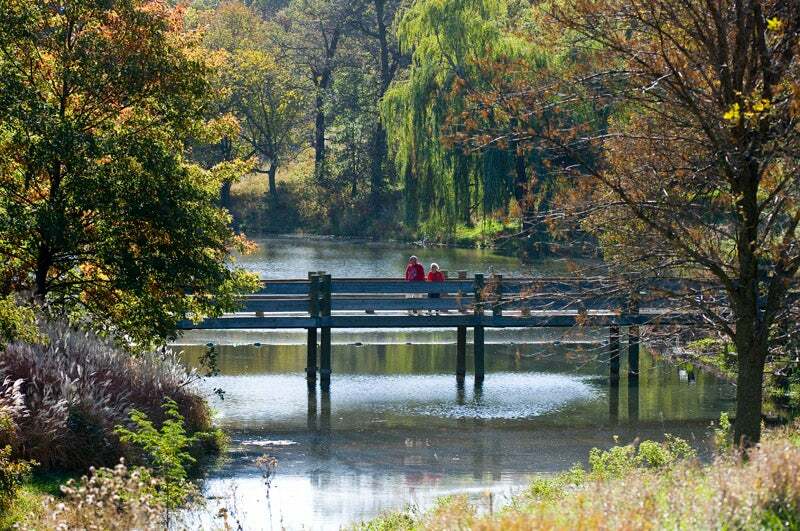 This park has so much to offer and is well-kept and beautifully landscaped. Make sure to reserve your spot well in advance because everyone loves this park. We enjoy the sites right by the water where the geese come up into our site. There is so much to do here at the park like guided horse rides, the pool, painting, zip-lining, Trails, fishing, and paddle boat rentals.They have an activity center, an arboretum, and a lookout tower which is worth the climb.” –The Dyrt camper Shannon G.
Meghan O'Dea is a writer, world traveler, and life-long learner who grew up in the foothills of Appalachia. College led to summer stints in England and Slovenia, grad school to a sojourn Hong Kong, and curiosity to everywhere in between. She has written for the Washington Post, Fortune Magazine, Chowhound, Eater Magazine, and Uproxx amongst others. Meghan hopes to visit all seven continents with pen and paper in tow.